Built For The Experts, By The Experts. The T1020 now offers an agile new GUI that responds like a smartphone, plus live image enhancements such as 1-Touch Level/Span. The FLIR OSX™ Precision HDIR optical system offers continuous autofocus and crisp resolution for accurate measurements, even from a distance. The T1020 has a 120° rotating optical block and bright, high-resolution LCD viewfinder, putting any target within comfortable viewing range. 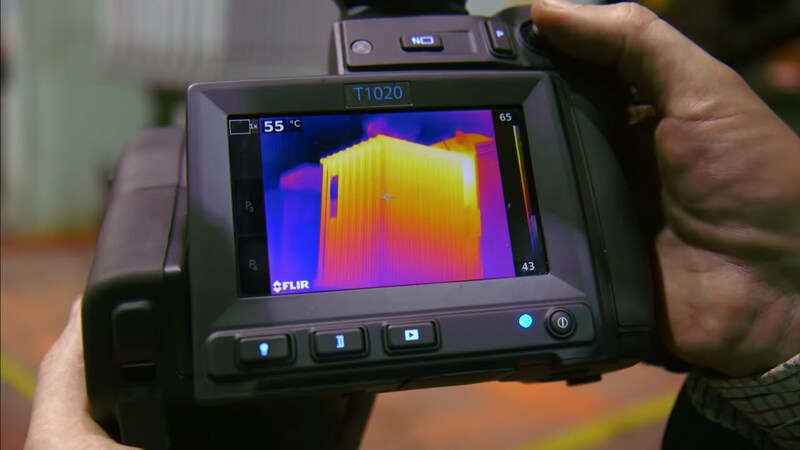 The T1020 uses the power of FLIR Vision Processing™ to deliver detailed, smooth pictures with very little image noise. FLIR Vision Processing combines HD resolution, MSX®, and UltraMax® image enhancement with FLIR's proprietary adaptive filtering algorithms to produce brilliant thermal images with up to 3.1 million pixels. Plus, the T1020 is sensitive enough to detect temperature differences down to <20 mK, for clear, low-noise results that keep you from missing any potential issues during inspections. Linear based, possible to adjust level/span/max./min.